This Sunday is Pentecost Sunday. Some churches celebrate this event in the church calendar by preaching a sermon on the Holy Spirit. Others will hang some banners reminding us of the day the Holy Spirit was poured out at Pentecost. Others will allow an upbeat song in their worship repertoire. After all, Pentecost Sunday is the day we talk about the Holy Spirit. I am not so much interested in talking about ways to celebrate Pentecost Sunday. I am more interested in seeing a renewed outpouring of the Holy Spirit like was seen on Pentecost Sunday. I am interested in Pentecost today! That event changed their world. Instead of a small group of believers huddling in a room seeking God, they became empowered witnesses and recipients of the resurrection power of Jesus. They came out of the box and into the world. Today we are living in another box. It is a box of scripts, schedules, and control. Our church events and life are scripted so that we know everything that is scheduled to happen. This gives us complete control of the event. You cannot script or schedule suddenly. So I am going to give you seven powerful ways you can bring the reality of Pentecost today and the outpouring of the Holy Spirit into your life and the life of the church. Take a look at the books, sermons, and Bible studies you have read or listened to or done over the last year. How many of those things were focused on the Holy Spirit? 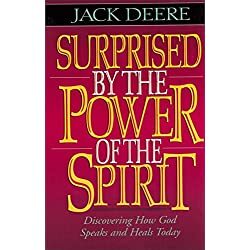 Most people believe that they are balanced in their views of the Holy Spirit, but they pay very little attention and give very little thought to the Holy Spirit in the modern world. 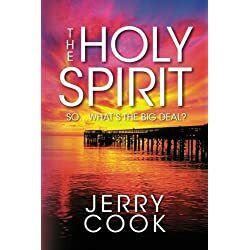 The Holy Spirit is an equal part of the Godhead and the part of God that is in the world today. The Father is sitting in heaven, and the Son is at His right hand, but the Holy Spirit is the one that was sent to empower believers in this world today. In my church, I realized that I was not preaching enough on the Holy Spirit. Over the next quarter, every sermon will be on the power, gifts, and fruit of the Holy Spirit. I would challenge all of you to take 90 days and do the same. The reason I say to get training first is that you cannot train people to do something that you do not know how to do in the first place. Many leaders may have head knowledge of the Holy Spirit and His gifts, but they do not have any practical experience operating in those gifts. If you have never laid hands on a person and seen them healed, it is going to be hard for you to train others let alone promote divine healing in your sphere of influence. If you have never received or given a prophetic word from God, how are you going to show others how to do it? Become a learner again. Be a student of Spirit-led ministry. If you do not know where to start, I would suggest two books and one resource. Release The People You Train To Use The Gifts Of The Holy Spirit In The Corporate Gathering, Small Groups, And The World. Training alone is not enough. Head knowledge is not enough. You have to release people to use those gifts. I know that for many of you the release of spiritual gifts in the corporate gathering is scary. You worry about what visitors will think. You fear what others will think. You will have to choose as to what is more important to you. Is it the present day ministry of the Holy Spirit that you want or the approval of man? You see, the Holy Spirit was poured out on the day of Pentecost, and His gifts were used in the presence of the world, including non-believers. They tried to ridicule those who were operating in those gifts. There are many ways to keep your corporate gathering from descending into chaos without eliminating the operation of the gifts. Get creative! Release your people to use the gifts of the Holy Spirit in their small groups, and in the marketplace as well. In all honesty, the gifts are most effective in the marketplace. They are gifts given to people God is pursuing as evidence of His love for them. Use them to be signs to unbelievers. You will be amazed by what God will do. Many times we think of discipleship and training in the context of seminars and classes. Pay attention to divine teaching moments when you can take a moment to teach someone else about the Holy Spirit. Any time we have a tongue and interpretation in our church, I stop for 5 minutes to explain what just happened. The same is true for prophetic words. When we have a prophetic word that is given to the entire body I stop and teach the congregation how to tell if it is from God or not. I use this scripture as the litmus test for authenticity. 1 CORINTHIANS 14:3BUT HE WHO PROPHESIES SPEAKS EDIFICATION AND EXHORTATION AND COMFORT TO MEN. This quickly puts a damper on doom and gloom prophecies that pronounce judgment on people and come from a judgmental heart who is giving the prophecy. None of us are alone. We all need one another. This includes people and ministries that are different than us. Open up the doors to others that are walking in healthy Spirit led ministries. Jesus has placed in His church more offices and ministries than just pastors. There are Evangelists, Teachers, Prophets, and even a few Apostles even though most that would call themselves an Apostle is really an Apostle. Some charlatans are selling the Holy Spirit’s gifts today—on television and in churches. But not every traveling minister is a fake. We need life-giving traveling ministries because God sends them to win new converts, heal the sick, train leaders and impart new vision in congregations. We should not be afraid to expose our churches to men and women of character who are called to minister in the supernatural. The goal of preaching is not to teach people principles. The purpose of preaching is to lead people to the point of decision. If we do not give people an opportunity to make that decision, then we short-circuit the process. Make time in your church services for people to respond to the message. This may be a traditional altar call or a less formal ministry time where you allow people to come forward to respond to what God has been speaking to their heart. Many times this part of the corporate worship service will lead to an empowering of the Holy Spirit in their life. While we do not want to give the impression that the only place people can receive anything from God is at the altar, we also want to make room for people to receive from God and be ministered to. Many times people have become born again, received a new vision, been healed, set free, and became more consecrated to the Lord during a ministry time at the altar. If people do not hear, do not see, do not experience the supernatural power of God in their midst then Christianity becomes nothing more than a set of philosophies, moralities, or principles to live by. God’s people need to see that He is genuinely moving in the midst of them. That is where the power of testimonies come in. Make a place for people to share what God has done for them. Nothing raises the faith level of a congregation like someone’s raw experience with God. If a man was healed this week in your church, let him shout it from the housetops. If an infertile couple got pregnant, let them tell about the goodness of God. Stories of supernatural intervention trigger a holy expectation in everyone—and God gets the glory for His miracles. It may take a few times. When God starts moving, people do not know where to place the knowledge in their mind. It is beyond the rational. 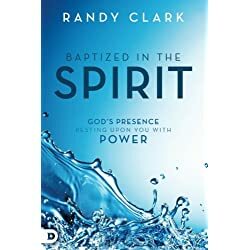 However given enough experiences, God starts to break through the boxes that they have placed in their thinking, and they begin to believe that God is still moving by the Holy Spirit as in the days of old and the celebration of a historical event changes to the celebration of a present-day reality. I believe that is the way we can do more than celebrate Pentecost Sunday. I think we can experience Pentecost today and every day in our lives and the life of our church.